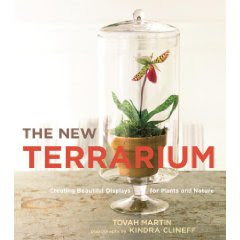 They had a copy of the book The New Terrarium by Tovah Martin at the shop at Lotusland. I flipped through it and it had some beautiful photos of plants under bell jars and wardian cases. These all looked like the very pruned variety of terrariums and also larger scale ones- and I am more interested in the micros. I may pick up a used copy though! different sorts of terrariums, that Eco-biosphere is really neat item too. I love her books and haven't seen this. Goes on long list. Thanks. Looks good. amazon is always great for saving some money!